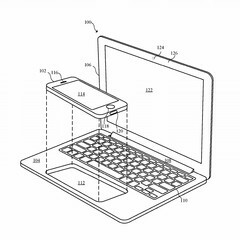 A recently-published patent reveals Apple's design for an iPhone that docks into a laptop shell. Another similar design reveals a MacBook that uses an iPad as its display. 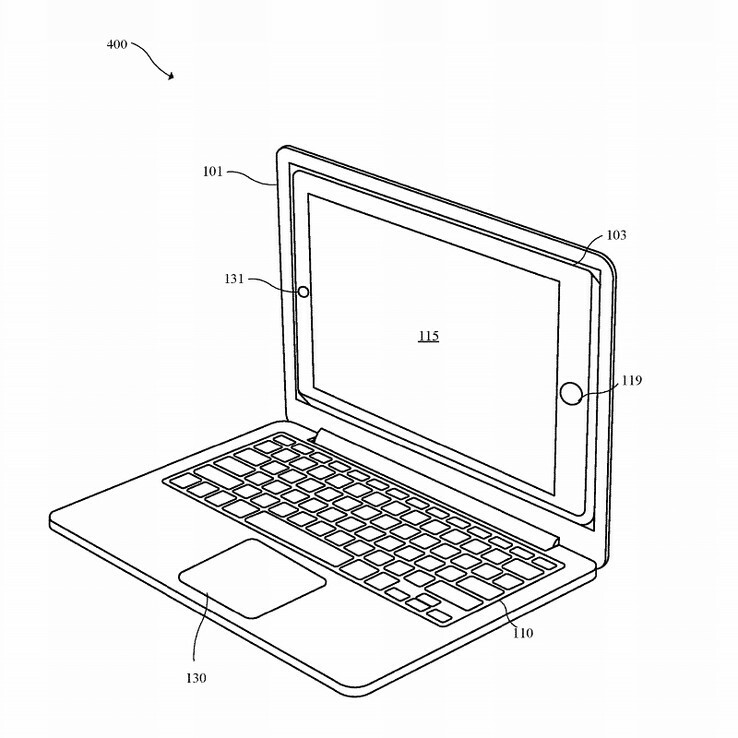 A patent filed last September and published today by the US Patent and Trademark Office reveals Apple may be working on a hybrid iPhone/laptop device. The patent reveals designs for a laptop shell that hosts an iPhone as its guts and a MacBook that uses an iPad as its display. 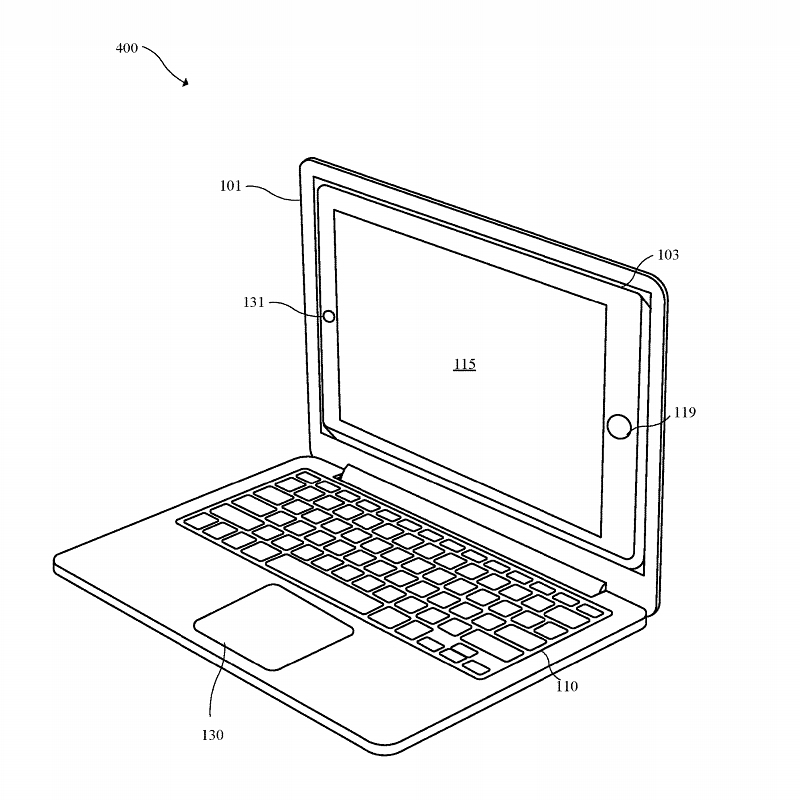 Apple's first design shows a laptop that functions similar to the successful Superbook laptop shell. The Superbook includes everything a regular laptop includes—keyboard, touchpad, and display— except for processing and storage solutions. An Android smartphone connected externally serves those functions on the Superbook. 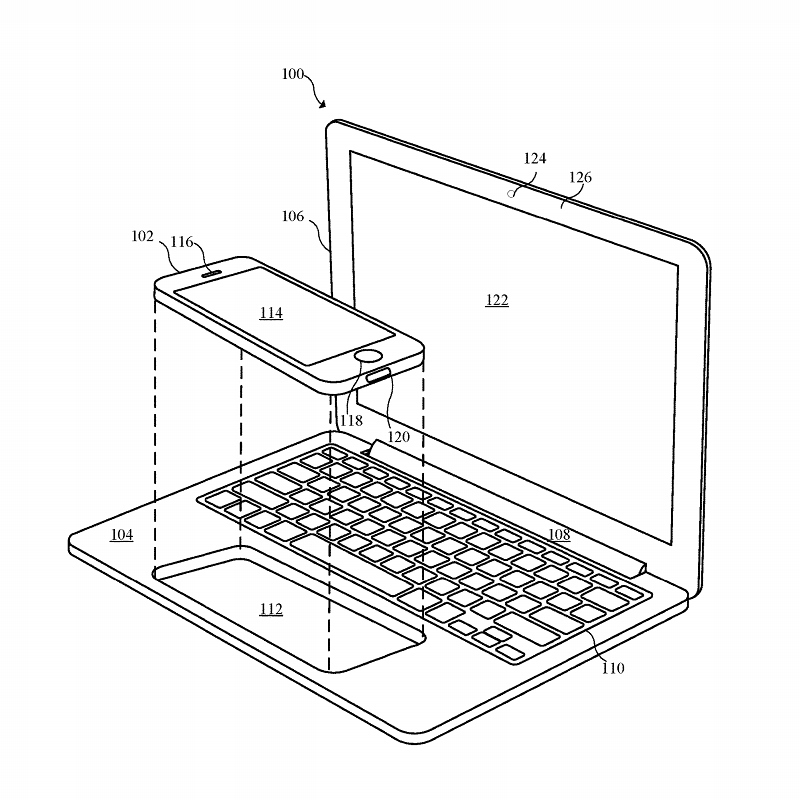 Apple's patented design works similarly, with one big difference: the iPhone docks inside the laptop shell. Specifically, it docks where the touchpad normally resides, itself becoming the touchpad while also functioning as storage and processor. The second design shows a MacBook-like shell that uses an iPad as its screen. The shell otherwise works just like a regular MacBook, performing processing duties as well as including storage and input devices. This design isn't too far removed from existing tablet docks for Apple and Android devices; however, it would likely provide a big increase in the docked iPad's processing power. The existence of the patent does not necessarily mean that Apple is seriously considering launching such products. Still, it shows that Apple thought the ideas were interesting enough to patent. In any case, its a fascinating look into what could be the future of Apple's mobile devices.